Mission, the performance accessories brand with a focus on temperature controlling technologies, announced a new line of accessories inspired and designed for yoga, Pilates and barre enthusiasts. The new Mission VaporActive Yoga collection uniquely leverages Mission’s innovative fabric technologies to meet the needs of enthusiasts at every level. The new collection was born from extensive consumer research in the fast-growing yoga category. The Mission team used big data analytics to mine hundreds of thousands of conversations among yoga enthusiasts, as well as discoveries from extensive focus groups and interviews with yogis around the US to validate the findings. 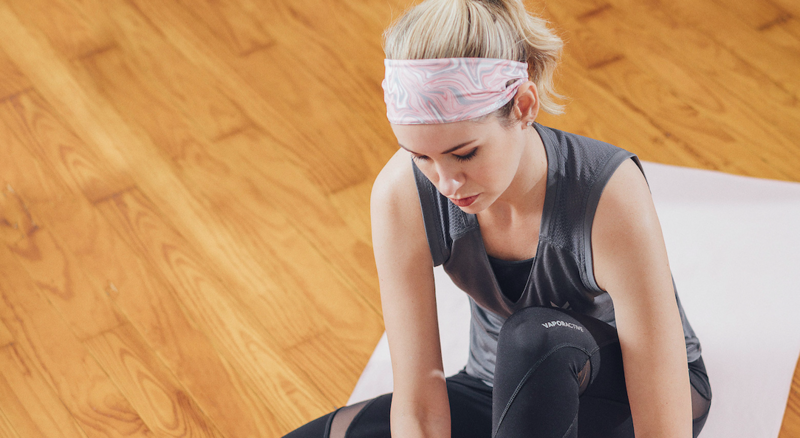 The research uncovered that current yoga accessories miss the mark in providing a comprehensive performance solution that includes drying, comfort and non-slip features. The new Mission collection aims to provide fitness enthusiasts with an assortment that meets their needs. The Mission VaporActive Yoga accessory collection includes mat towels, ultra-drying hand towels, headbands and grip socks. Innovation is embedded throughout the collection and each item features Mission’s VaporActive technology that provides advanced dry rates and odor control which is permanent, so it will never wash out. The Mission Yoga Mat Towel features framed corners to fit securely over a mat, maintaining towel placement through all movements and positions. The Mission Yoga Hand Towels feature a thermographic print that reveals itself when wet. The Mission Crossover Headband is snag-free and secure fit, to keep hair in place. To address the importance of footing, Mission No-Slip Grip Yoga Socks provide superior traction on any surface. The new collection is also suitable for yoga, barre and Pilates, whether practiced at home or in a studio setting. The Mission VaporActive Yoga collection is now available via Amazon, Target, and Mission.com with prices ranging from $12.99 to $34.99.